There are many different types of medicine being practiced today and we are often left wondering – what does each one do? The standard form of care in the U.S., often referred to as Western medicine, practitioners hold M.D. (medical doctor) or D.O. (Doctor of Osteopathy) degrees. They work together with other licensed health professionals that provide the support services that are critical to patients. These professionals include registered nurses, anesthesiologists, physical and occupational therapists, and many others to provide the best possible care for patients. They determine diagnosis and treatment based on the medical knowledge and experience they have gained through conventional education or practice, using drugs, surgeries, or physical therapies. While complementary and alternative forms of medicine are often thought of interchangeably, there are differences. Complementary therapies are used together with conventional medicine. This might include a regimen of vitamins, supplements, herbs, and ‘natural’ substances to be used in conjunction with other medications. Alternative therapies, on the other hand, are used in place of conventional medicine. One example would be if you choose to do yoga instead of a physical therapy regimen. Both complementary and alternative therapies (CAM) are referred to as Eastern medicine as many of the therapies originated in China. A total approach to health care, integrative medicine combines conventional and CAM therapies into a treatment plan where there is some high-quality evidence of safety and effectiveness. Natural Products: This category is the most popular form of CAM, used by more than 15% of the U.S. population. These include herbal medicines, vitamins, minerals, and products sold over the counter as dietary supplements. For a list of possible supplements click here. 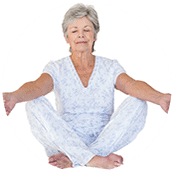 Mind and Body Medicine: Using mind and body practices that focus on the interactions among the brain, mind, body, and behavior, to affect physical functioning and promote health. 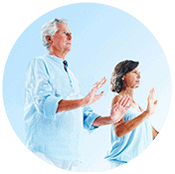 Examples are: Meditation, yoga, acupuncture, deep breathing exercises, hypnotherapy, progressive relaxation, and tai chi. Manipulative and Body-based Practices: These practices focus primarily of the structures and systems of the body, including bones and joints, soft tissue, and circulatory and lymphatic systems. Spinal manipulation and massage fall into this category. Energy medicine is among the most controversial of the CAM therapies. These therapies involve the manipulation of various energy fields to affect health. The most common practices include those involving electromagnetic fields (magnet and light therapy). Many of the CAM therapies have not been evaluated in rigorous controlled clinical trials, as has been the standard for pharmacotherapies utilized in Western medicine. In an attempt to address this limitation, the National Center for Complementary and Alternative Medicine, part of the National Institutes of Health, has developed an international presence in the field of complementary and alternative medicine. With a mission to explore and evaluate complementary and alternative therapies, it oversees many research projects in the United States – whether they are safe and whether they work. As with any medical treatments, there can be risks with CAM therapies. And, while it is important to be aware of the risks, it is also encouraging to hear about the CAM therapies used by many PN sufferers. Just like conventional therapies, there is not one treatment that worked for everyone. Sometimes they had to try several different therapies, but some of them did find relief. It can be a matter of a little, short-lived relief, but when you live with the daily pain and symptoms of PN, it can be a welcome respite. The real goal is to find a treatment that is safe and will not do you any harm. Complementary and alternative therapies should not replace your conventional care. The best approach is to integrate these therapies with your current treatments.